Long Grove realtor, Judy Greenberg, recently listed a magnificent sprawling ranch at 2411 Cumberland Circle overlooking the 6th green in Country Club Estates. This 3200 square feet beauty offers floor-to-ceiling windows with amazing panoramic views of the fabulous 2-tier slate patio, lush landscaping and the adjoining golf course. Sunday breakfast or a holiday meal will be a pleasure to prepare in the recently renovated Kitchen boasting granite counters, hardwood floors and large eating space with views of the golf course. 2411 Cumberland in Country Club Estates provides privacy and tranquility yet convenience and comfort for the growing family. Wait until you see the finished Lower Level in this Country Club Estates home and you will know this is the home for you! 1,000 square feet of light and bright plus a sub-basement for storage and utilities. The oversized 3-car garage provides tons of storage! People love the Country Club Estates subdivision in Long Grove Illinois since the homes are on 1 acre plus lots surrounding a gorgeous Country Club. 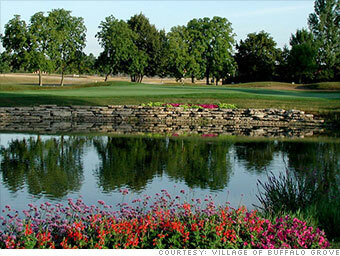 The homes in Country Club Estates boast spectaular golf course and lake views. Exquisite flowers are also abundant on the golf course. For those residents with young families, students in the Country Club subdivision of Long Grove Illinois attend Distirct 96 schools( Kildeer Countryside Elementary School and Woodlawn Middle School.) Woodlawn Middle School has recently been awarded the Blue Ribbon Award . High School students attend the prestigious Stevenson High School District 125. Interested in seeing this home? Please contact Judy Greenberg, your Long Grove specialist, at 847-602-5435, email her at judy.greenberg@cbexchange.com or visit her website, www.allchicagohomes.com, voted the 2014 Chicago Agent Magazine award for best agent website. Judy and her team are always ready and willing to help you find the perfect home! Stevenson High School District 125 in Lincolnshire Illinois is one of the best high schools in the State. Whether you are looking for homes, rentals, townhomes or condos in the Stevenson High School District, contact Judy Greenberg at 847-602-5435. Are you relocating to Buffalo Grove and looking to purchase a home within Stevenson High School District 125 (Stevenson High School students reside in portions of Vernon Hills, Riverwoods, Lincolnshire, Buffalo Grove and Long Grove)? Consider renting a townhome, condo or home in the district while you search for your perfect house. Relocating to a new town is tough enough, but having to change schools can be torture on a high school student. Don’t give up your dream to have your children attend Stevenson High School or settle for a house that is less than perfect because you are still looking for your dream house. There are plenty of beautiful rentals available in the Stevenson High School area that will allow you to settle your kids into school, keep searching for your house and avoid having to move your children again next fall. Even if you thought you have exhausted all of the current rental properties on the market, I will go the extra step in finding you a comfortable place that will make you feel like its the right place for you and your family. Knowing the area, the market, and most of the realtors in town, I can find you a rental even if it’s not currently advertised to the public. I want my rental clients to feel that they have made the right choice and I’m willing to put in the extra time to make that happen. 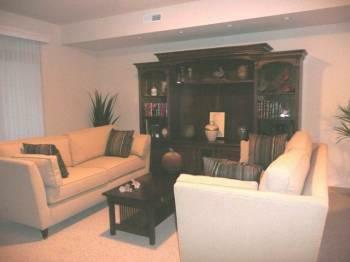 Currently, I have a furnished condo in the award winning Lincolnshire district 103 and a 4 bedroom home . In addition to finding you the perfect rental, I will make verify that your landlord is currently in a good financial position. I will negotiate your lease and make sure your interests are protected. Coldwell Banker Residential Brokerage( Buffalo Grove Office) Is On The Move! 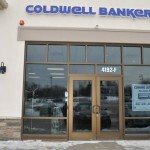 The Coldwell Banker Residential Brokerage office, long being a resident of Buffalo Grove, has recently moved into a gorgeous, state-of-the art facility in the Sunset Grove Shopping Center in Long Grove. The new office, located at 4192 IL Route 83, Suite F, in Long Grove affords the Judy Greenberg Group as well as the rest of the Coldwell Banker Residential Brokerage agents the opportunity to offer their clients the highest level of service for every aspect of their buying and selling transactions. The “Groves” office, as the Coldwell Banker Residential Brokerage will be named, blends thelong established, highly esteemed reputation of Buffalo Grove with the equally prestigious, uncharted territory of Long Grove. The Coldwell Banker Residential Brokerage “Groves” office is comprised of approximately 70+ agents who all are provided and take advantage of the most cutting edge technology, hands on training and innovative marketing tools. The Judy Greenberg Group offers the highest level of service, professionalism and uncompromised teamwork in getting the job done. Please contact Judy Greenberg, the #1 2014 Real Estate agent in the Grove's office to experience what Coldwell Banker Residential Brokerage and her team can do for you – you will not be disappointed! Lincolnshire Realtor, Judy Greenberg, will be listing an exceptional 3-bedroom town home in Beaconsfield subdivision in Lincolnshire Illinois. 1 Beaconsfield Ct boasts a welcoming 2-story Foyer graced with oak and iron railings. Gorgeous diagonal hardwood floors and recessed lighting are distinctive features throughout this home. The beautiful gourmet kitchen boasts granite counters, custom cabinetry and high end appliances. 1 Beaconsfield Ct provides a large-sized Master Bedroom suite complete with spa-like bath and walk-in closet, 2 additional secondary bedrooms, hall bath and Powder Room-. This home at 1 Beaconsfield Court at Beaconsfield in Lincolnshire seems to go on and on with its spacious and living/entertainment areas culminating in the finished Lower Level complete with Recreation Room, play area and full bath. This centrally located Beaconsfield town home is serviced by the Lincolnshire award winning School District 103, and feeds into the equally prestigious District 125 high school, Adlai E. Stevenson. Beaconsfield Subdivision is a town home community built in the early 2000's Homes range from 1,877 to 2,615 square feet. Beaconsfield is located in Lincolnshire, Illinois north of Route 22 and west of Milwaukee. Please call your Beaconsfield subdivision expert, Judy Greenberg for your own private showing of 1 Beaconsfield ! Long Grove Illinois, Hidden Gem Sparkles even Brighter! A mere 30 minutes (without traffic) from Downtown Chicago, both Long Grove's residents and visitors feel a new sense of excitement from the re-gentrification of the picturesque charming town rich with history dating from the mid 1800's. Homeowners who choose to reside in Long Grove move to the community in order to experience the best of all worlds-homes situated on large lots with exquisite, picturesque rural settings and at the same time, convenient to shopping and a community known for its excellent award winning schools. of Long Grove, I personally look forward to visiting the Long Grove's business district to witness the most vibrant tulips blooming in the Spring and the exquisite colorful hardy mums in the fall! High Tea with Gerry is always a wonderful way to spend an afternoon with authentic English Tea and an artful presentation of eight varieties of sandwiches, petite pastries and delicious scones. Whether you are planning a ladies social, bridal shower or special birthday celebration, I would highly recommend this venue. Long Grove Cafe and Restaurant , which recently has changed ownership, overlooks beautiful Mill Pond and has an extensive menu offering delicious burgers, steaks, seafood and salads. Long Grove Realtor, Judy Greenberg just listed 4112 Three Lakes in Long Grove and it is absolutely stunning! Call or text Long Grove Realtor, Judy Greenberg at 847-602-5435 for your own private showing of this spectacular home. You can also visit her website at www.buffalogroveareahomes.com for additional Long Grove homes for sale!